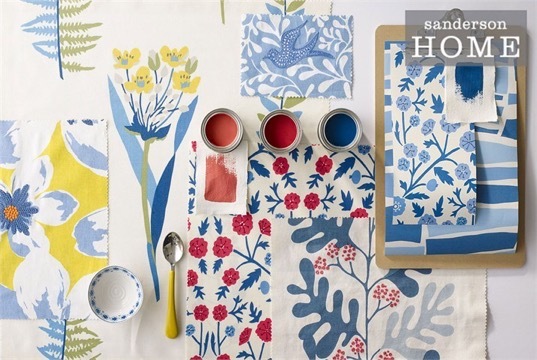 Kate Holohan is an interior designer based in Killenaule, Thurles, Co Tipperary. 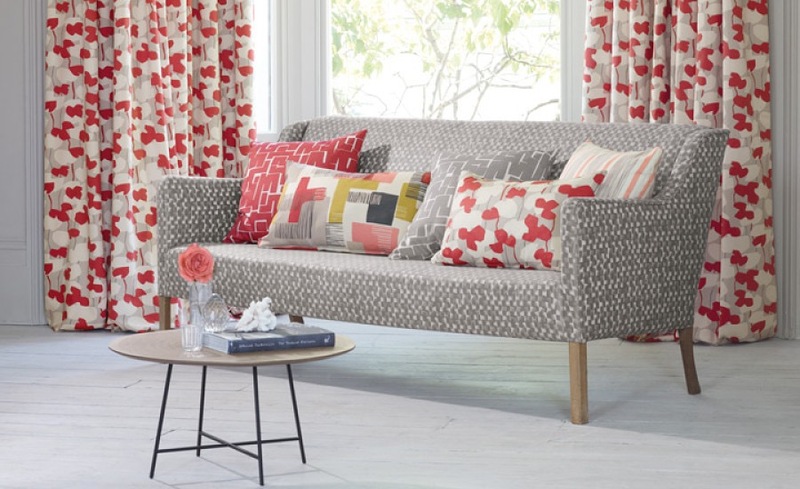 With many years of design experience and her passion and natural flair for interiors, Kate can breathe new life into tired interiors, revitalising homes and living spaces. 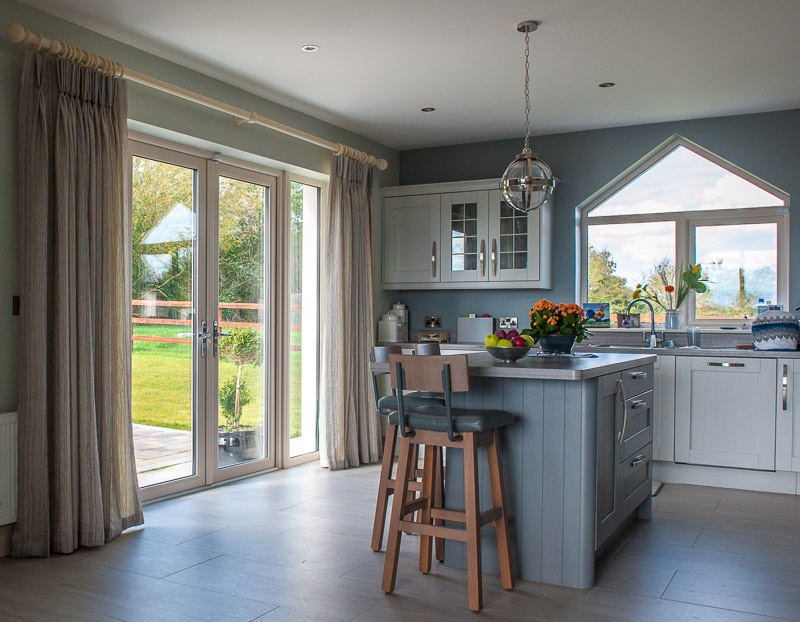 Each project is managed to the last detail, is tailored to individual clients needs, desires and requirements and includes every aspect of either a new interior design or a refurbishment project. Call or email at any time to book a consultation or alternatively post a message on the Bulletin Board below. I have been working as a freelance interior designer for the past 18 years providing a professional and a friendly interior design service to a wide and varied clientele. 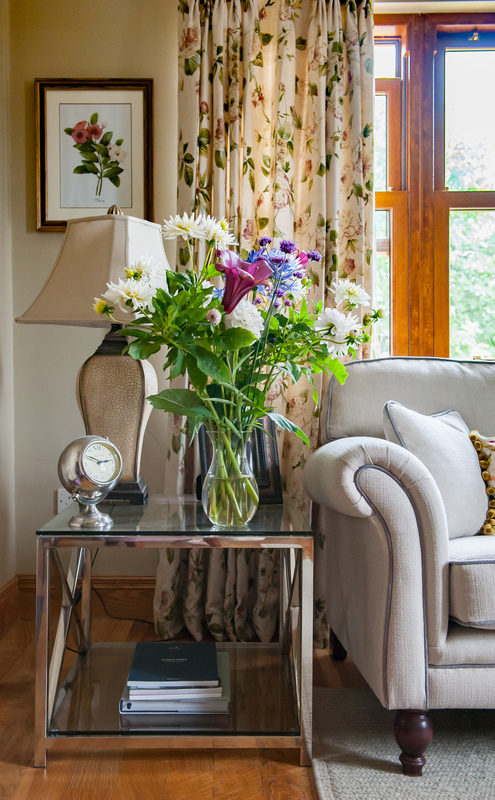 Based in County Tipperary, I produce timeless quality and perfection in all my finished projects, every client and project is unique to me - each and every project is specifically designed around clients needs, desires and requirements. A Designer's job is to tell a story. but the beauty is that the ending is always changing. 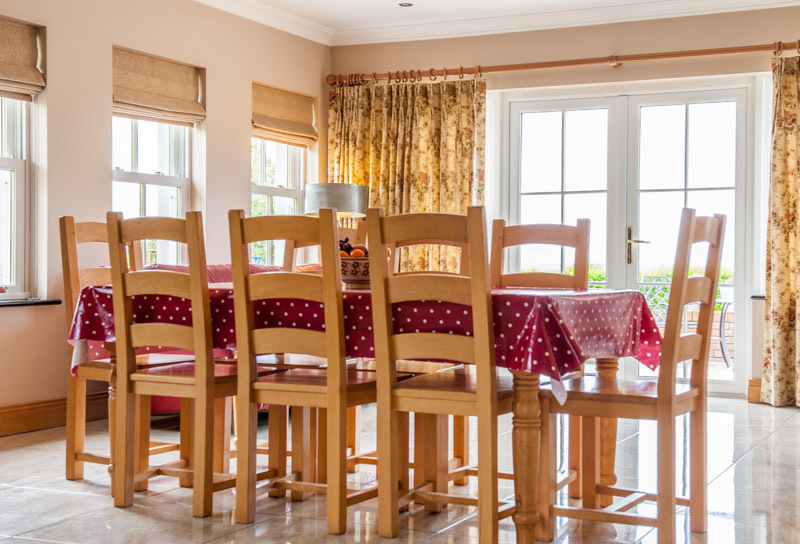 This beautiful dining room features curtains made from the Swaffer Gallery range of fabrics. The walls are painted in Matchstick, which is from the Farrow & Ball range of colours. The idea of this project was to merge the interior of the kitchen/dining area with the beautiful outdoors. 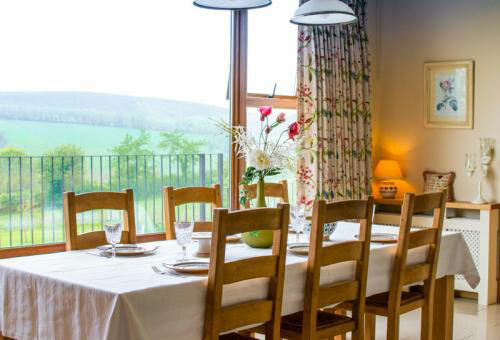 There is an amazing view from this room, with its large window, looking out on rolling hills and beautifully kept gardens. Therefore it was vital to maintain the natural beauty within this space. 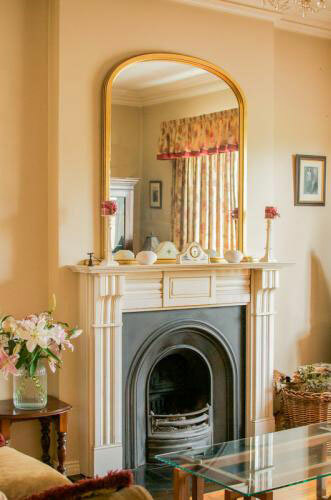 The beautiful stone chimney breast is the focal point in this living room. it was crafted by a local stone mason from limestone. 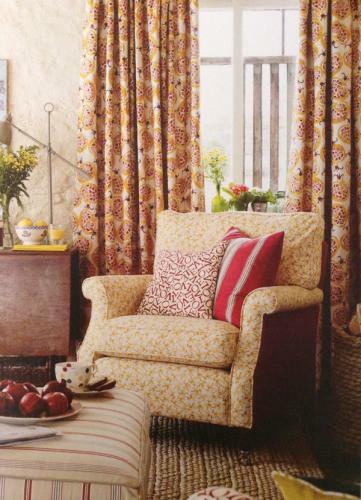 The heavy wool curtains from Abraham Moon's Heritage Collection create a rich, warm ambiance in the room. 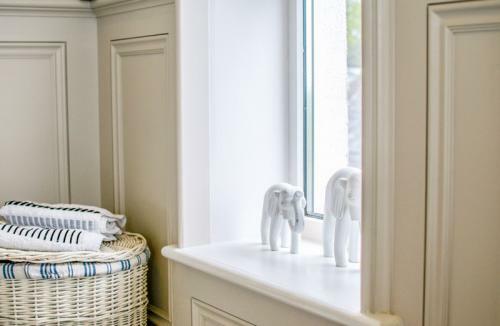 The walls are painted in Joa's White from the Farrow & Ball Collection of paint colours. On entering this bathroom one is struck by it's elegance and style. This impression is created by the use of timber wall panelling and of course the marble floor tiles. 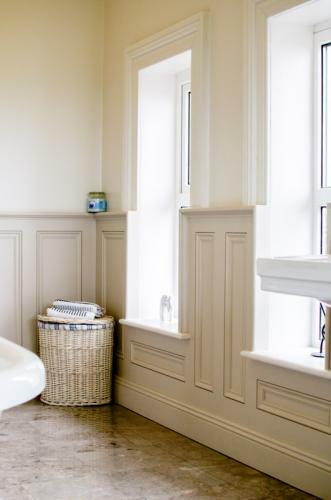 The panelling is painted in Colortrend's Ivory Tusk and the walls above it are painted in Colortrend's Shell Cove. 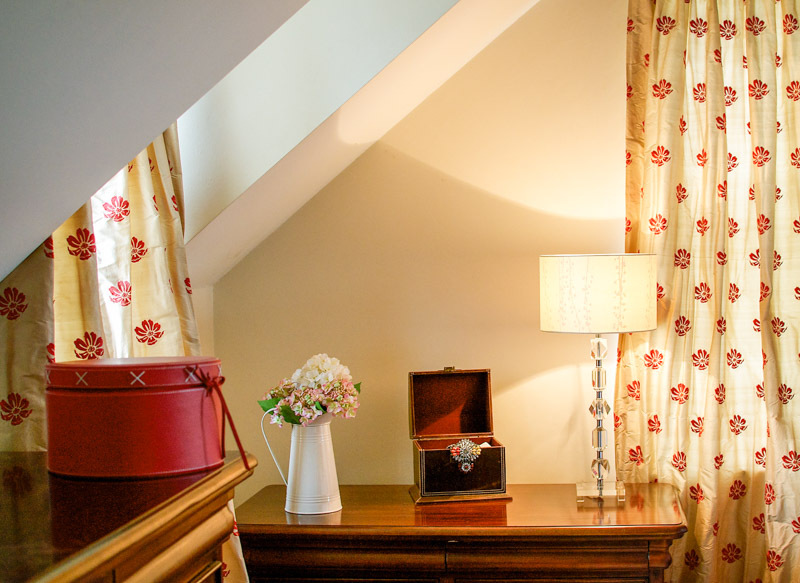 The simple use of accessories add a touch of beauty,warmth and interest to this room. Accessories are vital in bathrooms as they are rooms that can otherwise appear cold and uninviting. The sitting room featured here was designed to be a very usable space but also with style in mind. Hence it has both a rustic and stylish feel to it. The use of the log basket adds a rustic touch, whereas the floral curtains from Villa Nova, trimmed in a plain rust fabric, and the large mirror over the fireplace create an impression of elegance. The walls are painted in Devine Ash from the Devine range of colours. Accessories are the finishing touches of colour, texture and shape that impact any room. They reflect a persons personality and taste, as we can see in this photograph. The curtains are from Romo and are silk and also interlined. Wall colour is Baked Alaska from the Colortrend Historic Collection. In this image we have another display of the beautiful fabrics from Swaffer Fine Furnishings, this time from their Legacy collection. The rich autumnal tones used in this room breath warmth into the large airy open space, aided also by the use of the spash of red on the tablecloth. 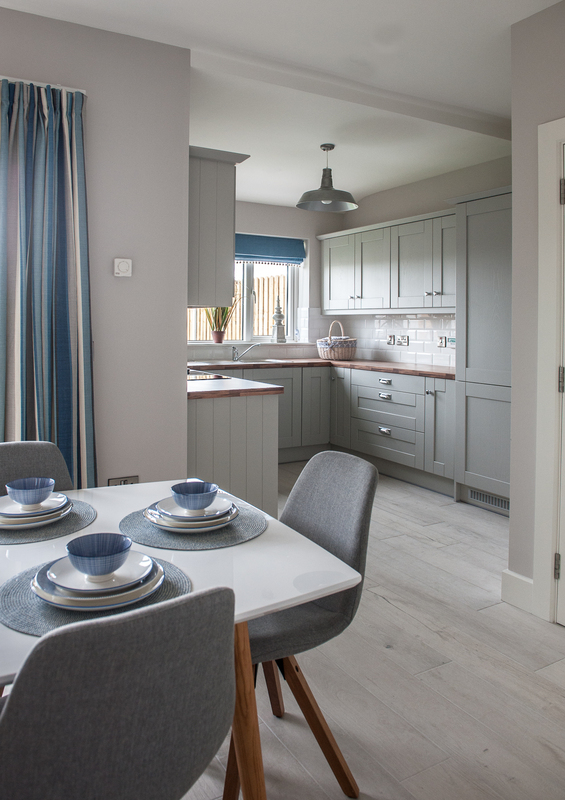 The plain, linen fabric in the roman blinds blends perfectly with the surroundings and the more colourful curtains - Wall colour is Savage Ground from Farrow & Ball. A cooler kitchen displayed here, designed for a lady who loved blues and greens but did not desire to live in a cold atmosphere. I choose duckegg as a good compromise, and introduced little splashes to red to warm the room. The cream units are very calming and also warm to look at without being overpowering. 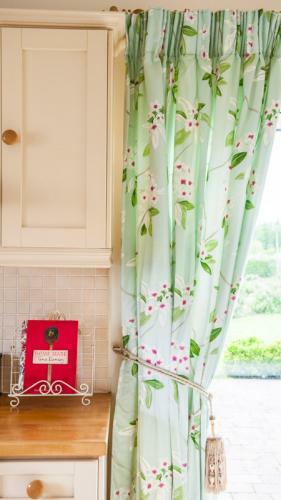 The curtains are made from a Sanderson fabric and interlined to add bulk and richness. The walls I painted French White from Colortrend. 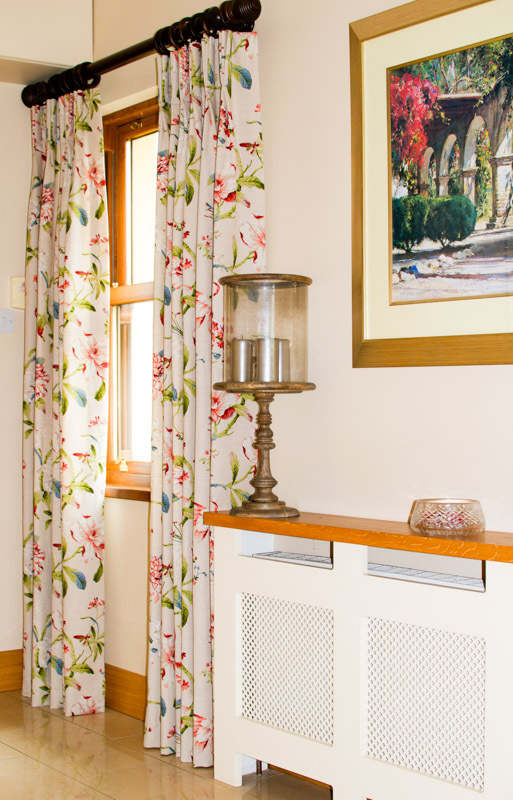 A radiator cover can add beauty to an awkward space, a painting or mirror can add beauty to a blank wall. This area was just a walkway from a kitchen to a dining room. With the addition of these beautiful pieces it is now an area that one wants to dwell in rather than quickly walk through. 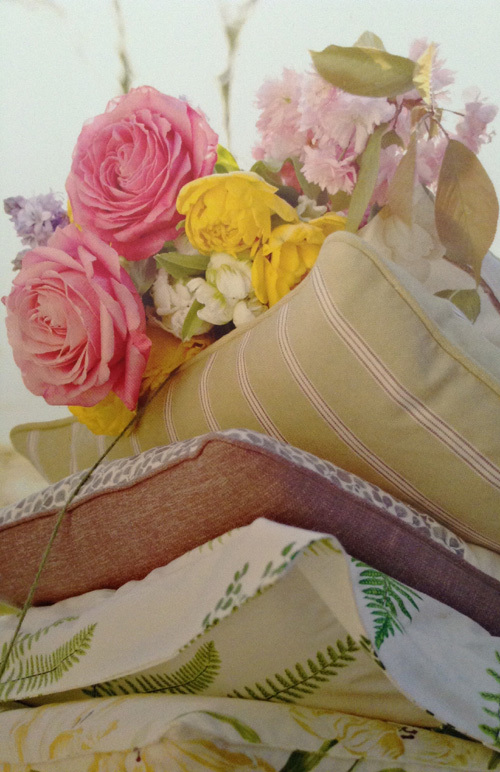 The fabrics again are from The Gallery Collection by Swaffer Fine Furnishings. Wall colour is Matchstick from Farrow & Ball. Based in Killenaule, Co. Tipperary, Kate is a graduate of the Regent Academy of Fine Arts in London and holds a Diploma in Interior Design. She has been working as an Interior designer since 1997 and her portfolio of work is therefore diverse and very impressive. 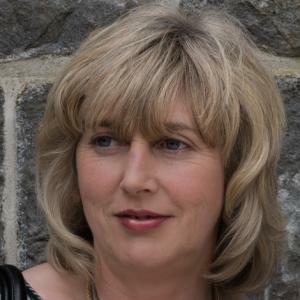 Kate's work has a timeless quality and she works at a level of perfection that delights her clients and in most cases greatly exceeds their expectations. 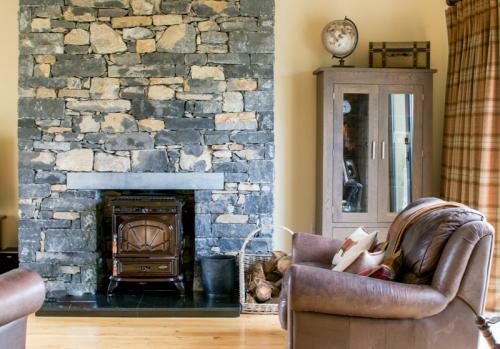 Professional interior Design Services from Tipperary. Description: Professional interior Design Services from Tipperary. The curtains are from Romo and are silk and also interlined. Wall colour is Baked Alaska from the Colortrend Historic Collection. 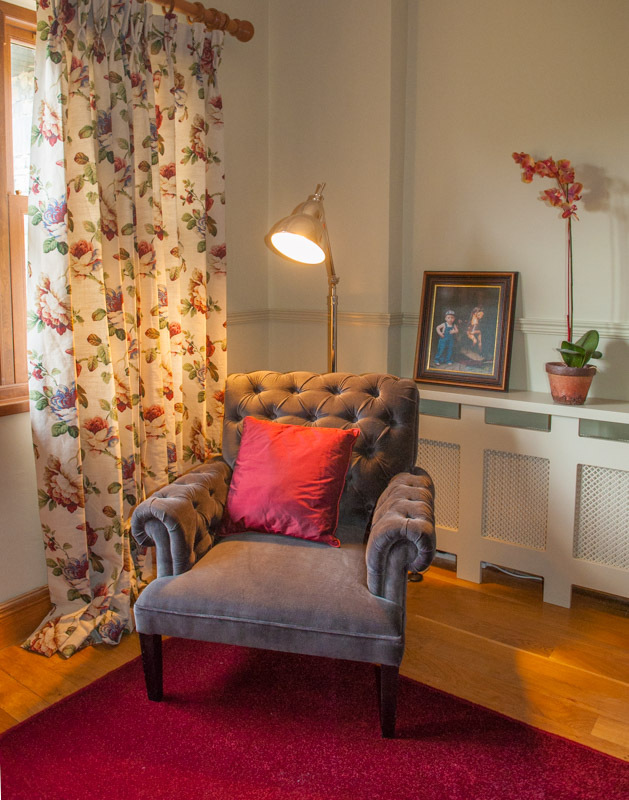 The plain, linen fabric in the roman blinds blends perfectly with the surroundings and the more colourful curtains - Wall colour is Savage Ground from Farrow & Ball. She has been working as an Interior designer since 1997 and her portfolio of work is therefore diverse and very impressive. Kate's work has a timeless quality and she works at a level of perfection that delights her clients and in most cases greatly exceeds their expectations. string(37) "Beautiful new Villa Nova Fabrics 2016"
string(53) "Before and After Image of a Sitting Room I worked on." string(26) "New Sanderson Home Fabrics"